Craps is one of the most well-known and easily recognisable games played at a casino as it’s the one where onlookers gather round the table to cheer on the person rolling the dice. Craps is a dice game played at both land-based and online casinos where players bet on the outcome of a roll. It is portrayed in a scene in Rush Hour 2 and, although it looks complicated from the outside, Craps is relatively simple to learn and understand the rules. 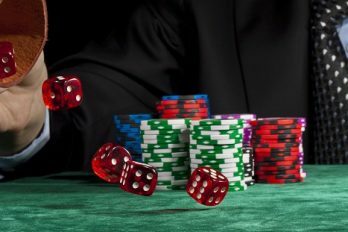 There are a number of reasons why Craps would attract those who play at online casinos, the main one being that players don’t have to leave the comfort of their own home. They can stay in and play from wherever they like, whenever they like. The other added bonus of staying in and playing online craps at a casino from home is that you can actually save the money that would be spent on transport, like petrol and train tickets, and meals, which are all at premium prices in casinos. Instead, you can put it towards a larger bankroll, so you can increase your wagers when playing the game. On the other hand, players who’ve spent time in casinos where Craps is played live revel in the atmosphere and claim that it cannot be matched when playing online. 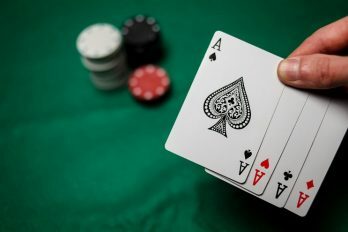 The game is also seen as far more fun and entertaining with a live dealer, rather than via a computer. The objective of Craps is very simple. Players simply have to bet on the outcome of the two dice that are thrown against a craps table. A craps table features a unique design with the layout and features specific to a craps game. It cannot be re-used for a different casino game. There are a number of different bet types in the game and players are required to place their wagers before the start of each roll. Once the outcome of the dice has been determined, players receive their payout from the casino. The game of Craps originates from medieval England and from knights in the 12th century, who knew the game as “Hazards”. Hazards was how the game was known, but a name change decided by French gamblers took place in the 1600s, whereby the term “Craps” derives. While the game became known as Craps, it surged in popularity across Europe and once it had received such notoriety, it made it’s way across the Atlantic Ocean over to the USA, where it continued to grow. A French nobleman named Bernard Xavier Philippe de Marigny de Mandeville introduced the game to North American players. Bernard had a background in gambling, as well as in politics, but his version of the game was fundamentally flawed, albeit in the player’s favour. His version enabled players to fix the game using the dice, therefore removing the house edge. Eventually this problem with the game was resolved and a dice maker called John H. Winn introduced a rule to the game, known as the “don’t pass” option, which is still included in today’s rules. Winn’s rule change is still prevalent today and the game’s popularity remains high, particularly in Vegas, which attracts thousands of Craps players to their tables each year. Craps is one of the easiest dice games to master and understand. 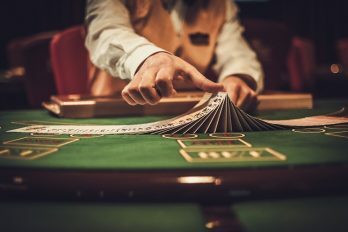 When you first play a craps game, there are a few bets to understand, although once you get more involved it can be more complicated, as there are 40 bet types available. The basics of the game are the same in both land-based and online casinos, that is to place bets on the outcome of the rolling of two dice. The player who rolls the dice in a Craps game is known as the “shooter”. Before that player rolls the dice, the others must place their bets on the outcome of the roll. Players can make a pass line bet, or alternatively an even-money bet, on the outcome of the roll. For players to be successful betting on Craps, the shooter must reveal a 7 or 11. This can then double the value of players’ bets. Once you’ve found a craps table to play at, you must place some money on the table that you’re prepared to bet and the dealer will exchange that for chips. Players take it in turns to roll the dice, but if you arrive at the table while another player is rolling, you have to wait for the next come-out roll before placing your bet and taking part in the game. As soon as a shooter rolls a seven after a point has been established, known as “sevening out”, the next player will become the shooter. Craps is now one of the most popular games around, both in physical casinos and those online. It can also be played online and on mobile devices, increasing its’ access to players who can now play while on the move. If you’re looking for the ultimate gaming experience that features lots of fun, plenty of enthusiasm and some euphoric moments when you win, then look no further than Craps. It’s one of the most entertaining dice games to play and is a sure-fire way of getting attention while playing in a casino. Playing any casino game online, whether it’s craps, poker, blackjack or roulette, makes for an entertaining experience and the rewards are just as great as those that you’d receive if you were playing in a land-based casino. However, with a vast range of online casinos out there, it’s very difficult to know which one to go for. Casinobet.com can help you here as we’ve reviewed a wide range of casino games, so you don’t have to. One of the factors we’ve taken into account is the promotions offered. If you play regularly and enjoy a good betting experience, you’ll be rewarded with some fantastic bonuses, free plays and huge jackpots to unlock!